Subscribe to comments with RSS or TrackBack to 'Super kitty'. you can see that is soooooooooo fake! people get fooled by it’s cuteness,but any one can see that is sooooooooooooooo fake. *kitteh:argggg ughhh so heavy i need to cut down on the mowzes and the family*haaaaaah*O_<; ouch kitteh got crushed!!!!! helllp!!!!!!! 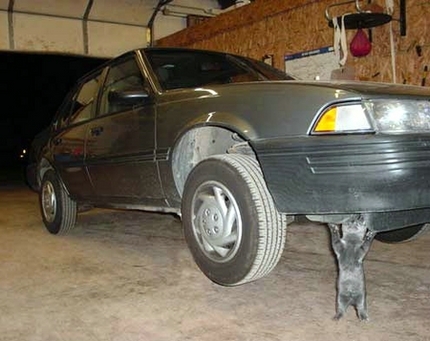 The picture is really adorable the kitten is like so small and picking up a big car. watevr others say…..i luv it! !wish it happens in reality!!!lolz.. that kitty was soooooooooooo soooooooooooooooo cute!Iknow it is fake but I still love it sooooooooooooooo much! hey Mr. hog dude u might think this is fake but maybe hes streching dont u think .. anyway he is soooo cccccccccuuuu tttttttttteeeee …. and also happpy New years.